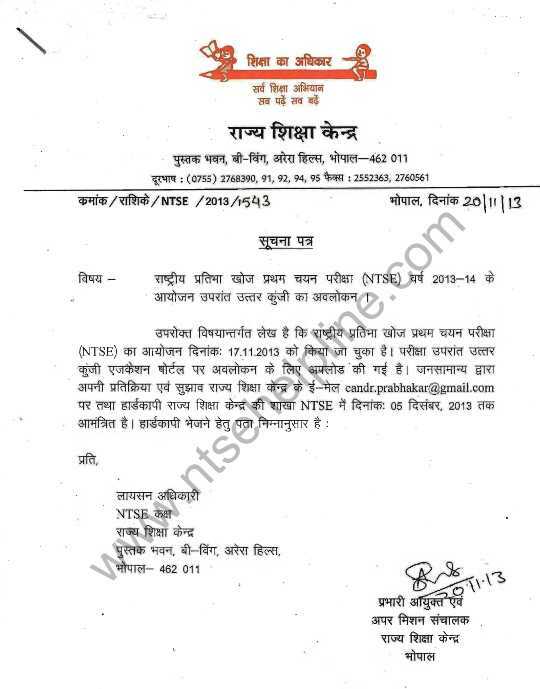 Will you please give here answer key for Madhya Pradesh National Talent Search Examination (MP NTSE) paper conducted in November 2013 ? 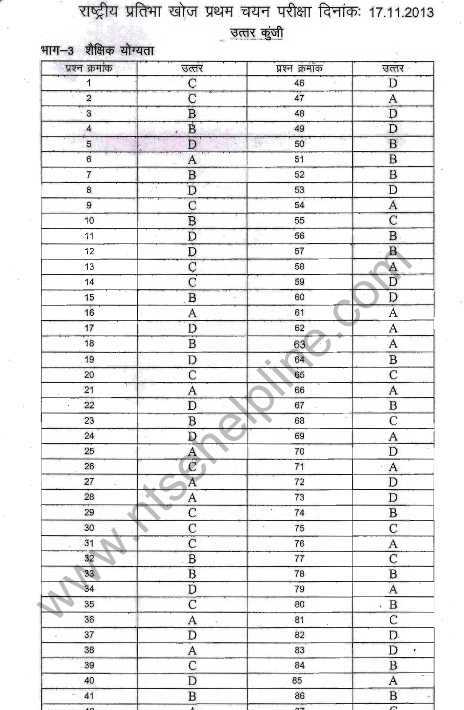 As you want I am here giving you answer key for Madhya Pradesh National Talent Search Examination (MP NTSE) paper conducted in November 2013. Here is the attachment .